The Leighton Vans Sportline pack includes the fitting of 20” alloy wheels and lowering the suspension of the standard Volkswagen Transporter van by 40mm. These enhancements, along with the other exterior LV Sportline features give the vehicles their distinctive and stylish looks. 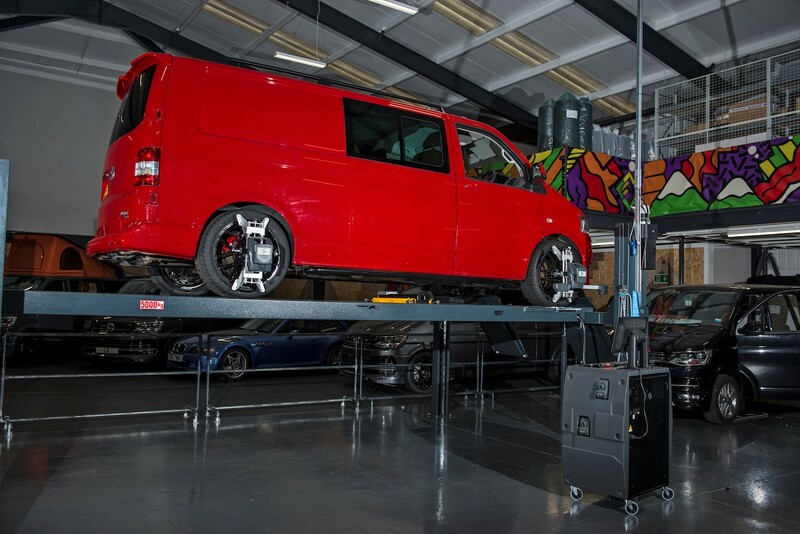 Once our technical team have fitted the parts, the vans undergo a full wheel alignment check to ensure the caster, camber and toe-in settings are all as they should be. The very latest Ravaglioli hardware (and software) feeds back hyper-actuate information to our team. The smallest of alignment settings can be made using the data the heads fitted to the wheels transmit back to the operator. Once complete, the vehicle’s handling, traction and fuel efficiency are assured. 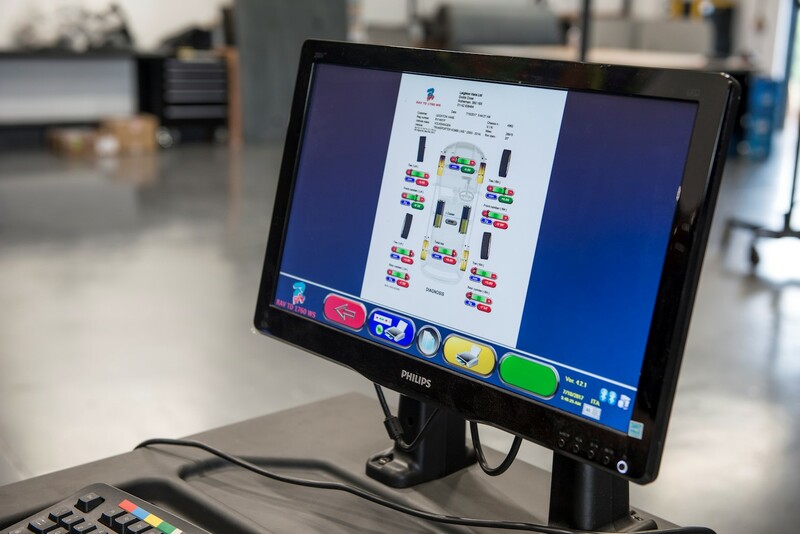 The Wheel Alignment service is something LV can provide for any make or model. A two to three hour procedure Leighton Vans can offer any local motorist for their small family car or any vehicle up to a high performance sports car. The technical team and the hardware is able to check and adjust the steering and suspension settings to ensure tyre wear and performance is maintained. For full details, the Leighton Vans team can be contacted by calling either 0114 283 8484 or by using the website contact form.